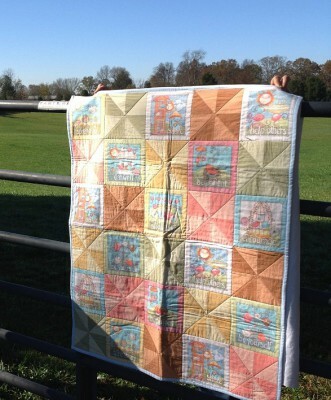 This little quilt can only be described as 'sweet'! 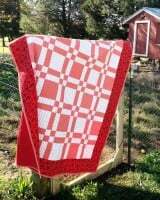 Soft, hand-dyed fabrics make up the pinwheels that alternate with solid print blocks. Each block has an encouraging saying: 'eat well', 'share', 'help others', 'be patient', 'be yourself', 'spread joy', 'encourage', 'show love'. 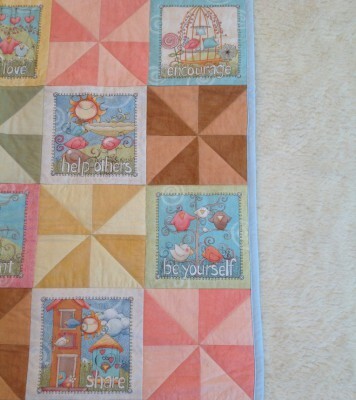 The back is a soft stripe, and the quilting is a simple diagonal grid to bring out the blocks with their sayings. 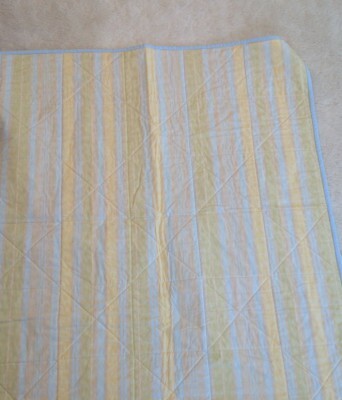 Perfect for a crib or floor play mat, or a wall-hanging over baby's nursery.